Richard Drew/APHistory shows the stock market is a solid predictor of recessions, but a correction doesn't always signal an upcoming recession. Have the recent stock market declines made you queasy? Over the past six weeks, stocks have lurched lower -- down 12 percent from their May high -- bounced back, then fallen again. The roller-coaster ride is enough to make even seasoned thrill-seekers a bit jittery. The stock market is a leading indicator for the economy; in fact, it is one of 10 components of the Conference Board Leading Economic Index. So should investors be worried about the economy slipping into recession? "The stock market is the best economic barometer out there," says Jeffrey A. Hirsch, editor at Stock Trader's Almanac & Almanac Investor. "In conjunction with the bond market, it is where all the biggest money managers lay their bets on the economic future." Pullbacks, corrections and bear markets. How low is low? Market analysts generally define a zero to 10 percent decline in the stock market as a pullback, a retreat of 10 to 20 percent as a correction, and a drop of 20 percent or more as a bear market. %VIRTUAL-pullquote-Now that we've had a correction, it's like the first snowstorm you get for the year in New England -- people forget how to drive in the snow.%In August, the Standard & Poor's 500 index (^GSPC) dropped 12 percent, which counts as a correction. But sometimes a market just needs to let off a little steam, which can actually be a good thing. "On average, once a year, you will see a 10 percent or more correction. The last one we had was 2011," says John Canally, economist at LPL Financial in Boston. "Now that we've had a correction, it's like the first snowstorm you get for the year in New England -- people forget how to drive in the snow." In other words, the market was overdue, and since it's been awhile since we've seen a correction, investors may be a little unnerved. While history shows that the stock market is a good predictor of recessions, not all corrections signal that a recession is ahead. "Does a 10 percent-plus decline in the S&P 500 predict that a U.S. recession will soon be at hand? 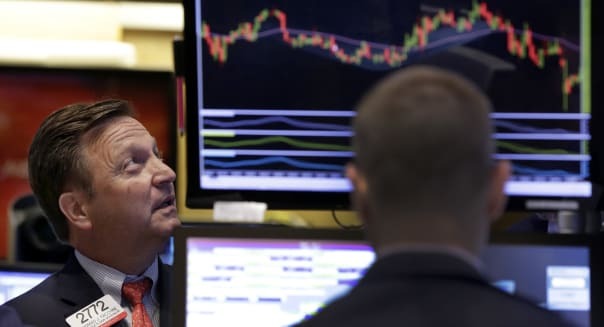 Not according to history, which shows that while all recessions were preceded by corrections or bear markets, there were nearly three times the number of 10 percent-plus declines than there were recessions since 1948," says Sam Stovall, managing director at S&P Capital IQ in New York. Canally says that generally, "you get a recession once about every 10 years, but you get a 10 percent correction about once a year." Investors can take some comfort that the recent volatility and stock market weakness doesn't necessarily spell economic recession ahead. What's behind the recent stock market nervousness? Pick your poison. Uncertainty about the Federal Reserve and upcoming rate hikes is one factor, but there are plenty of other triggers. "The correction was due to a decrease in investor confidence, lowering valuation levels, caused principally by events in China and emerging markets rather than by a decline in the U.S. economy," says Brad McMillan, chief investment officer for Commonwealth Financial Network in Boston. But looking ahead, stock market bulls remain optimistic. Canally points to a year-end target on the S&P 500 at 2,050. McMillian also expects a rebound by year's end in the S&P 500, which is down about 8 percent year to date. "Right now, 2,000 is the most probable level," he says. "This is the upper end of the current range. I do not expect confidence to rise enough to justify breaking this level, but I also expect market improvement toward the end of the year as the U.S. economy continues to grow." Moving ahead. The stock market may be taking your 401(k) balance for a roller-coaster ride, but the chance of a recession is remote. "We see the odds of a recession in the next 12 to 18 months as pretty low. History shows the odds of recession are about 10 percent," Canally says. If you are a long-term investor with a time horizon of five or more years, sit tight, McMillan says. "You can do more damage to your portfolio than the market can over the long term. For money you need in the short term, reduce your risk exposure to something you feel comfortable with in the event of a market downturn." The price retreat also means there could be bargains to be found. "A number of high-quality stocks have fallen more than 20 percent from their 52-week highs, meaning they themselves have undergone a bear market and represent a buying opportunity," Stovall says. He points to the energy sector, where earnings are expected to be off nearly 66 percent in the third quarter. "But that will likely be the trough quarter for that sector, and things will gradually improve from here," he says. Continue to stay the investment course if you are fully invested, Stovall says, adding: "Don't let your emotions become your portfolio's worst enemy."